For our first family visit to Florence my good friend Giuseppe Sepe had put together a selection of six “must do or must see if in Florence”. These six locations were carefully marked on a little map Giuseppe had drawn for us. His suggestions did not disappoint. In fact we felt utterly privileged to have this little treasure map in our hands. 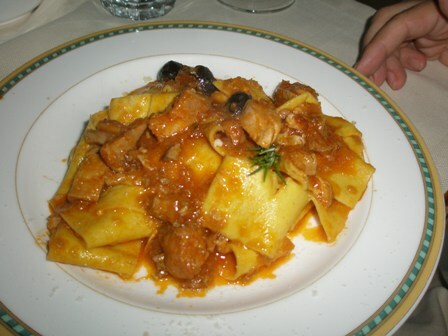 One of the suggestions was Osteria Simon Boccanegra. We went there for dinner. 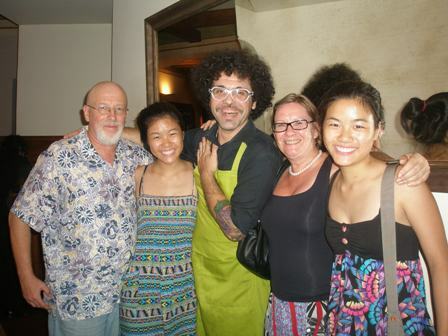 As instructed, we asked for Tommaso, a good friend of Giuseppe, who as Giuseppe said “would treat us like royalty” (which in fact he did – thank you Tommaso for this memorable evening). There are actually (at least) three Boccanegras: the ristorante, the osteria and the pizzeria (there is an enoteca as well), all of which offer quite distinct and different menus to their customers. 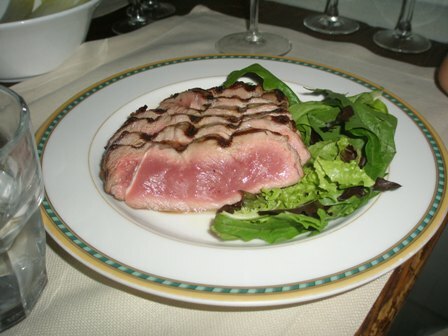 We were drawn by the allure of the food of rural Florence, manifesting itself in the Osteria Boccanegra menu. 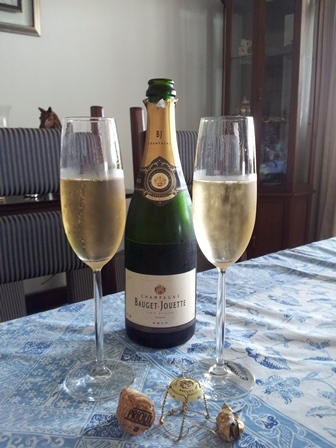 Furthermore, Tommaso spoilt us from the outset with a couple of glasses of spumante (bubbly) first, and some selected delicacies later. 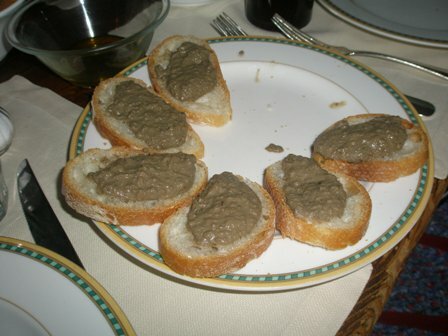 Then we moved on to a selection of traditional Florentine “primi piatti”, dishes to get started with. They reflected the charm of a truly rustic Florence. 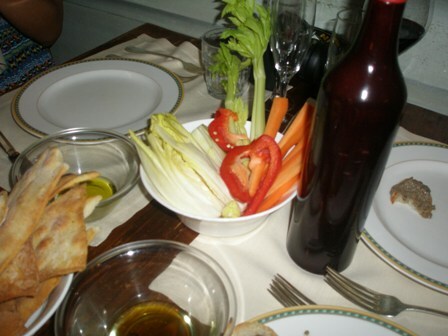 We had raw vegetables, some white bread with liver pate, and a selection of local cheeses with kumquat and other jams all of which were super delicious. After that we moves on to pasta. 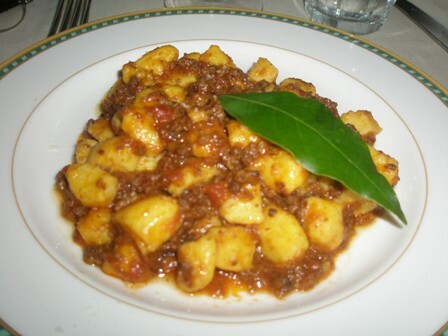 I ordered gnocchi al ragu, one of my favourites. 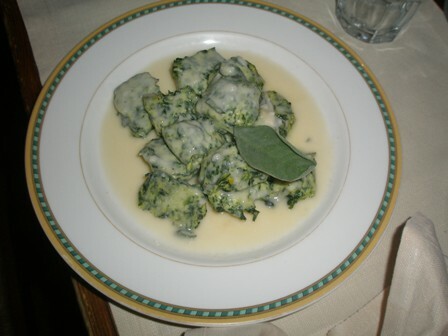 Margit had papardelle with rabbit, and the girls chose spinach ravioli with ricotta cheese. Then came the absolute highlight of the evening, the “bistecca Fiorentina”. Goodness me, we had almost no space left for more food but this beef was heavenly. Look at the picture of the steak below with its mouth watering faculties. 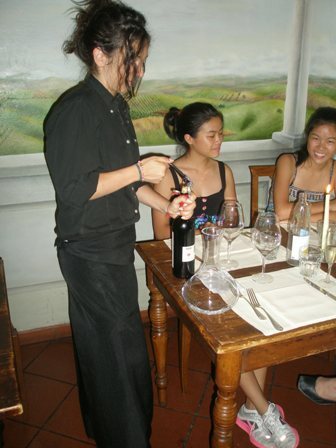 As regards the choice of wine, we were constrained or shall I say conditioned by a wine tasting with Giuseppe in Bangkok. He served us a bottle of Tignanello some time ago which we had not forgotten (how can you forget a Super Tuscan like this?). 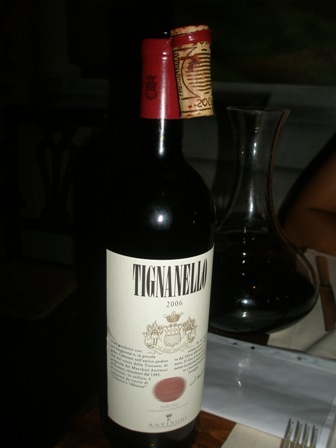 Of course Boccanegra listed Tignanello on their (extensive and very interesting) wine list. So the choice was made quickly and a bottle of ‘2006 Tignanello’ by Villa Antinori was ordered. I was amazed how skilful one could open such a bottle of wine. The cork would remain “encapsulated” so to say. 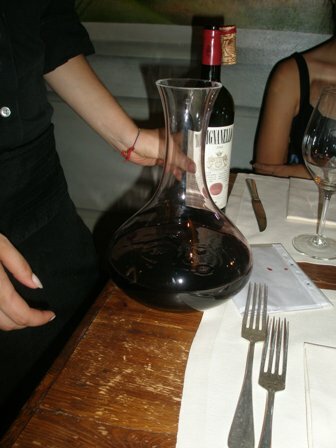 The waitress decantered our Super Tuscan, and then we were ready. Great job. I have never seen such art elsewhere. The wine is just beautiful, consisting of 85% Sangiovese, 10 % Cabernet Sauvignon and 5% Cabernet Franc grapes. 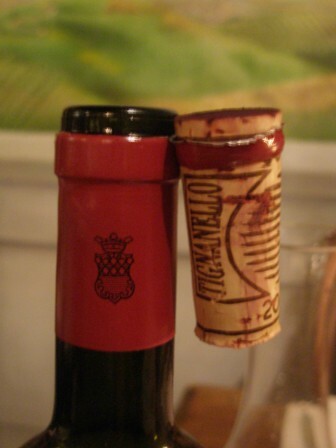 Tignanello was the first Super Tuscan which was made that way. Traditionally all grapes are Sangiovese. No white grapes are used for the blend. 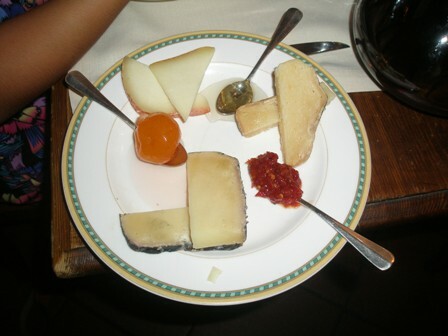 All the fruit is estate grown and comes from a vineyard also named Tignanello covering 47 ha. 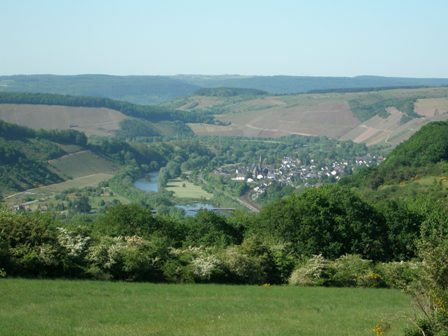 The vines grow on 350-400 meter altitude on limestone and red tuffaceous soil. 2006 was a great vintage, quality and quantity wise. After the normal fermentation, the wine is put in barriques where the malolactic fermentation takes place. After the blending the wine can age in oak barrels for about 12 months. The wine is dark red with aromas of red fruit and berries. It has fine tannins and is elegant with a good structure and length. I just love the finish with is smooth and round like good chocolate. This was only my second bottle of Tignanello but the lust for more is lying in wait. Occasionally we review our family holiday experience by rating the places we have visited. Boccanegra (the Osteria to be precise) came out on top of our Italy visit which did not come as a surprise. There was only one other restaurant which came close to it. But more about this another time. If you visit Florence please feel free to use Giuseppe’s map. 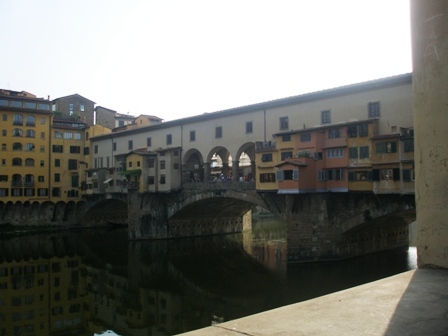 It is worth it to explore “his” Florence in 48 hours. And if you happen to bump into Tommaso, say hello to him. By the way, he loves Thailand, Bangkok and Thai cuisine.